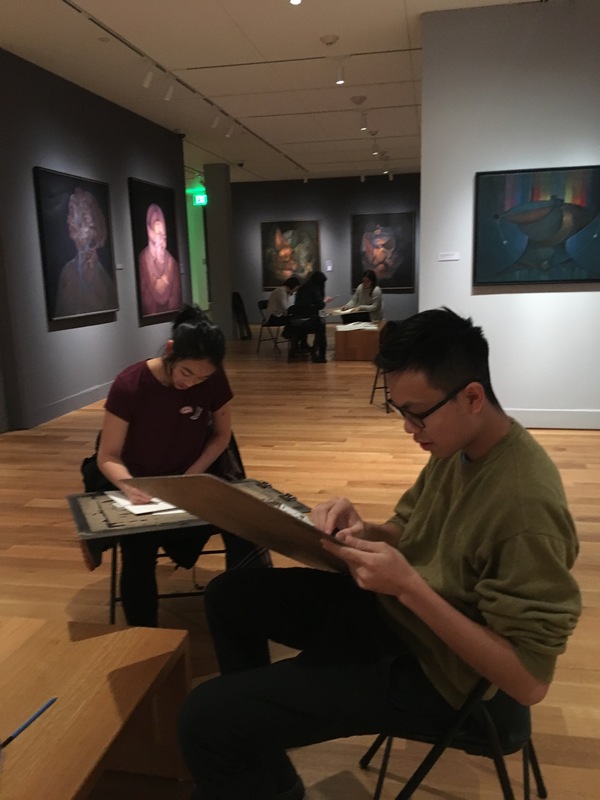 In conjunction with the McMullen’s new exhibition “Rafael Soriano: The Artistic as Mystic”, students were able to immerse themselves in Soriano’s art at the McMullen’s DIY “Sketch Your Partner” Night. DIY Night (Do it Yourself) is a new creative programming series offered to BC students without much experience in art. 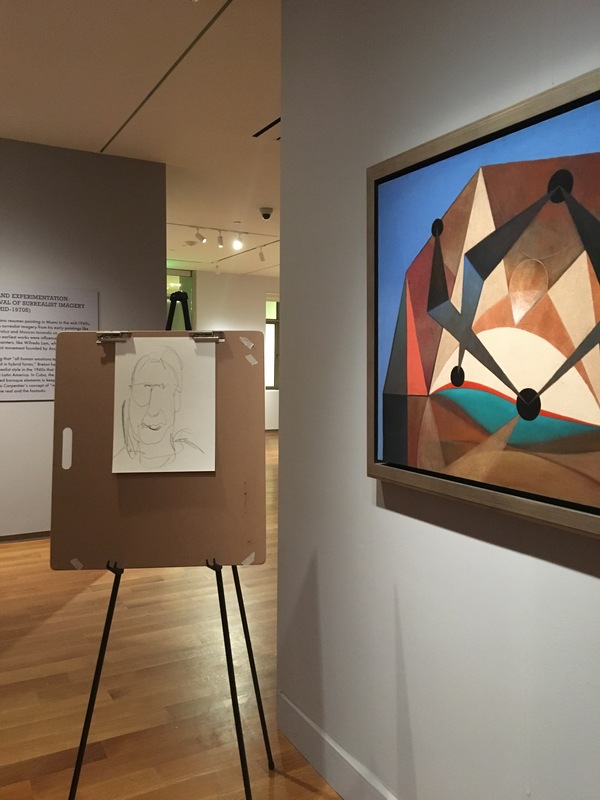 Rather than passively looking at the works on display, DIY Night @ the McMullen offers students a tutorial and materials to learn first hand the variety of art techniques and methods presented. 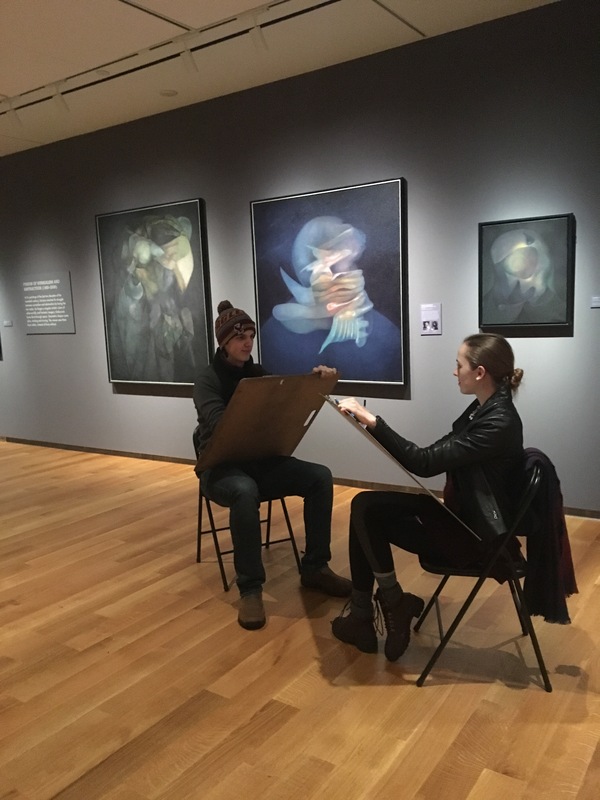 On February 16th, BC students took over the McMullen galleries to “sketch their partner” with Ariel Freiberg, a studio art professor at Boston College. 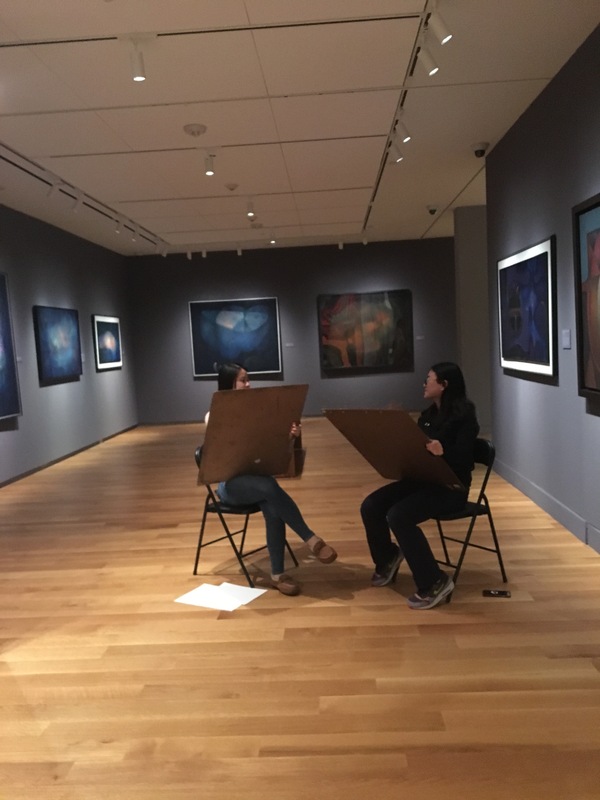 In the spirit of Valentine’s Day, students came in pairs with their partners and friends to sketch in the beautiful ambiance of Soriano’s paintings. 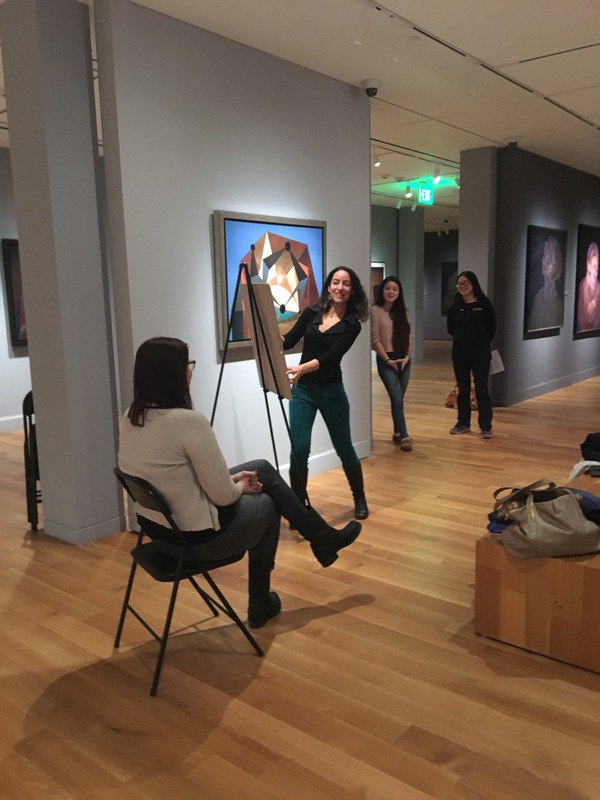 With some helpful tips from Professor Freiberg, who taught students different techniques such as contour drawing and emphasis on shadows for rendering their portraits, students dispersed all over the gallery and took in Soriano’s art to inspire their portrait sketches; they were giggling as they attempted to capture their partner on paper using Professor Freiburg’s techniques, and many of them were very impressed by their results. The McMullen’s next student event will be a creative writing workshop with Hugo Clemente, “Starting the Fire”, and will take place on March 23rd at 5:30pm.